Summer has finally arrived! Hooray! The sunshine and warm weather is such a wonderful feeling and when you live where I do this can be a short season, so it’s time to take full advantage of this weather and get outside with your significant other! Here are 9 super fun summertime date night ideas! Take a stroll back to the younger years of dating and head to the mini golf course! A good helping of healthy competition with some ice cream afterwards are the perfect ingredients for a great date night! Gather the ingredients for your favorite fire side snacks, such as s’mores and the like, grab a blanket and head outside for a bon fire. Cuddling, star-gazing and watching the fire dance is pure romance. Put the kiddos to bed and enjoy some good old homemade fun! Homemade ice cream is the BEST and so fun to make together. Grab your favorite toppings and have an old school ice cream social, just the two of you. Make a great take along dinner or grab food on your way, take a walk somewhere special just the two of you, or find a place with a beautiful view and have a picnic. Enjoy the scenery and the company! An outdoor concert is so fun, and is the proverbial gateway into summertime. There is something about listening to your favorite band under a blanket of stars that is so romantic. Grab your tickets, your favorite cold beverage, and a folding chair! A water gun fight is an entertaining date for the whole family, grab your super soakers, maybe some food coloring to add a fun twist to the water and head outside. The kids will love it and the memories will last a lifetime! Some communities offer a movie in the park night but if not, set up a homemade projector and pick your favorite flicks. If you’re feeling social invite the neighbors to join, otherwise cuddle up with some popcorn and enjoy! Head to your local farmers market and spend the morning perusing what unique items are there. It is a great opportunity to buy local and support small businesses, plus the fresh food is delish! If heading out for a night on the town sounds good research some local events and enjoy some carnival sweets! There seems to always be festivals of all different kinds going on in the summer time, find one that suits you and enjoy a night out! 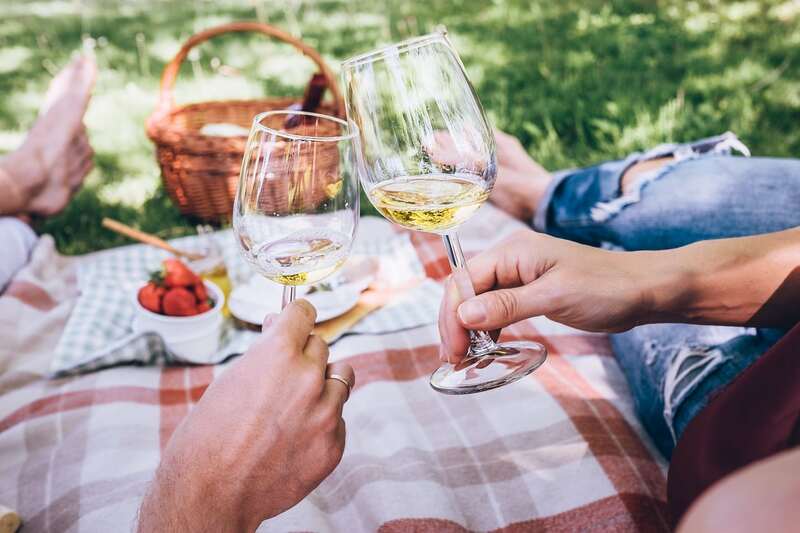 These are just a few ideas of fun date nights that are easy to do in the summertime. Spending time with your loved ones and creating special memories, don’t have to be elaborate plans. Just filling up some super soakers and heading outside makes for a great time. Take the kids and the dog for a walk and watch them laugh and play while you watch from the side lines, soaking up every minute of fun and sun!